If you haven’t discovered this yet – take a look! 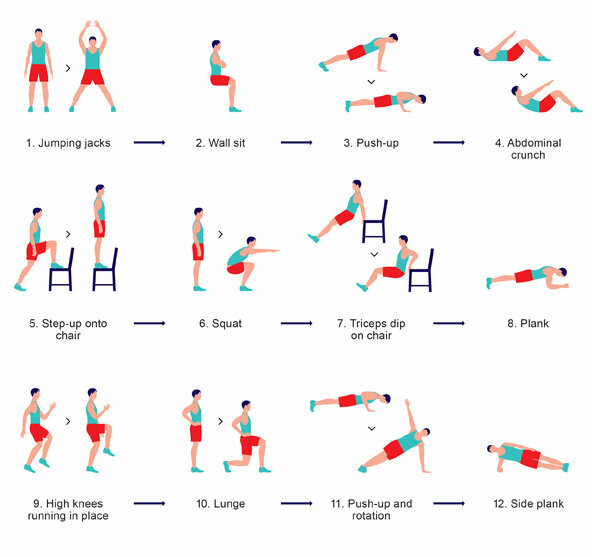 The 7-minute scientific workout is a high-intensity, short duration circuit training routine provided by the ACSM (American College of Sports Medicine). There are 12 exercises, each completed within 30 seconds with 10 seconds of break in between. All you need is a wall and a stable bench/chair. I like this video because it has a timer, a cartoon showing you how to do the exercise, and up-beat pump up music which will get you through the 7 minutes in no time! Your “intensity” should be around a 8/10 as you complete this to allow an increase in your heart rate! Do NOT solely use this as your exercise regimen – it should be used in combination with other cardio/strengthening routines for a full fitness benefit. Challenge: Complete this routine 2x in a row, every day for the next 7 days and see how you feel!! (Beginners, start off by completing this 1x/day and gradually progress to 2x/day). Disclaimer: if you have a health condition, please consult your healthcare provider before trying this routine. 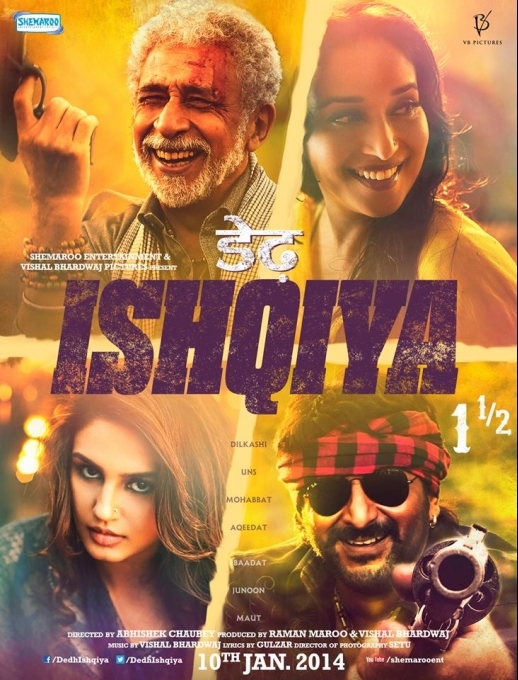 A sequel to Ishqiya (2010), Dedh Ishqiya is a mildly entertaining comedy that you can save to watch at home on DVD (unless you’re a die-hard Madhuri Dixit fan like my dad… in which case, he would argue, it would acceptable to see on the big screen). 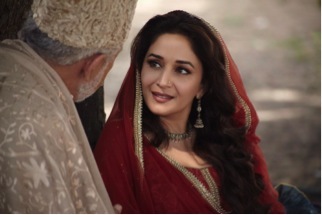 Dedh Ishqiya is a story about two thieves, Khalujaan (Naseeruddin Shah) and Babban (Arshad Warsi), who discover that the widowed Begum Para (Madhuri Dixit) of Mahmudabad is hosting a poetry competition in her mansion to choose a husband. Khalujaan poses as the Nawab of Chandpur and participates as a poet in the festival. Babban (Arshad Warsi) arrives in Mahmudabad to take Khalujaan back to their old life of thievery, but he soon falls for the Begum’s confidant Muniya (Huma Qureshi). The story soon turns into a thriller-mystery imbedded with farce-like situations. 1. It’s funny – definitely gave me a good laugh here and there, though not enough to get me ROFL. 3. Naseeruddin Shah and Arshad Warsi are brilliant and make great co-stars. 4. It was refreshing to see Madhuri Dixit on screen after so long… although in a very unconventional role. 5. Huma Qureshi does a wonderful job amongst her big costars. Definitely looking forward to seeing her in more films. 1. You may need subtitles as the Urdu can be tough to understand. 2. I expected so much more out of Madhuri’s dancing. They left her “item” song, “Hamari Atariya,” to the very end credits! I give Madhuri tons of credit for continuing dancing – however the choregraphy was full of mudras and nakhre than actual classical dance. 3. First half was better than the second.. ending was disappointing. 4. Vidya Balan would have been a perfect fit for this movie – a part of me wishes they had kept her instead of Madhuri for this. 5. WHY did they have to pick Vijay Raaz as the antagonist?? He is quite the opposite of eye-candy and did not fit amongst all the top-notch co-stars. On the whole, Dedh Ishqiya is a light-hearted film to watch on a lazy night in. The year 2014 has already set off with a bang in Bollywood music! Films such as Gunday and Dedh Ishqiya are currently holding the top songs. Let’s not forget, however, Dhoom 3 and Ram Leela – these albums ended 2013 with a handful of memorable tracks that still make up the hottest songs today. The soundtrack of this movie features 10 tracks – a true mix of peppy, romantic, retro and modern to suit your every mood. “Jashn-e-Ishqa” sung by Javed Ali and Shadab Faridi, is the up-beat, dance-able, “macho” track featuring the two male co-stars Ranveer Singh and Arjun Kapoor. Definitely a catchy tune you might find yourself jamming out to! The other memorable track is “Tune Maari Entriyaan” sung by Bappi Lahiri, KK, Neeti Mohan, and Vishal Dadlani. This song is a fun mix of the three main characters including the one and only, Priyanka Chopra. Be sure to check out Ranveer’s dancing in the music video – he is quite irresistible and full of energy! Next top song of the album is “Asalaam-e-Ishqum,” sung by Bappi Lahiri and Neha Bhasin. This tune is a spunky mix of old and new. 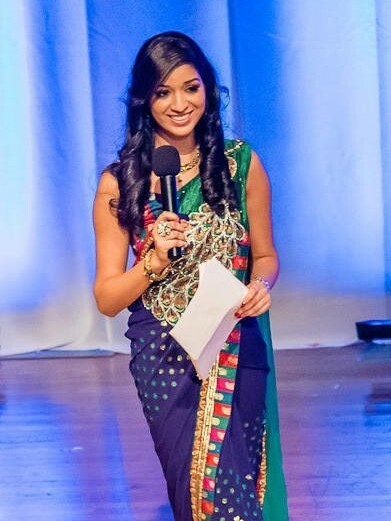 It is my personal favorite – and definitely the “item song” of Gunday. Overall, Gunday is a going to be a popular album for 2014. Now we just can’t wait for the movie release on Valentine’s Day! Dedh Ishqiya, a sequel to the 2010 movie Ishqiya, is undoubtedly going to be one of the classiest albums of 2014. With Vishal Bhardwaj as the music director, we know there will be much to love about the soundtrack. We all know when Madhuri Dixit is in a film, there will be dancing involved. Her main “item” song is my personal favorite, “Hamari Atariya.” This folk song sung beautifully by Rekha Bhardwaj refers to the mujra time period. Madhuri’s dancing is absolutely flawless! “Horn Ok Please” is probably the most unique track of this album. A mix of rap and Punjabi flare – it’s a very peppy, catchy tune delivered by Sukhwinder Singh and Yo Yo Honey Singh. Yes, I agree the title of the song sounds quite silly – but give this track a few listens and you’ll be hooked. The title song, “Dil Ka Mizaaj Ishqiya,” is a very romantic number. Rahat’s magic will most definitely keep you mesmerized as you play this song on repeat. All in all, Dedh Ishqiya’s soundtrack is a success for Bollywood – what a great beginning to 2014! Most of us are familiar with the late night eats on MacDougal & Bleeker (Mamoun’s, Kati Roll, Masala Times) where we are welcomed at until 4am after long nights out partying. This past weekend, I tried a new Lebanese spot which in my opinion was a classier version of Mamoun’s in terms of quality of food. 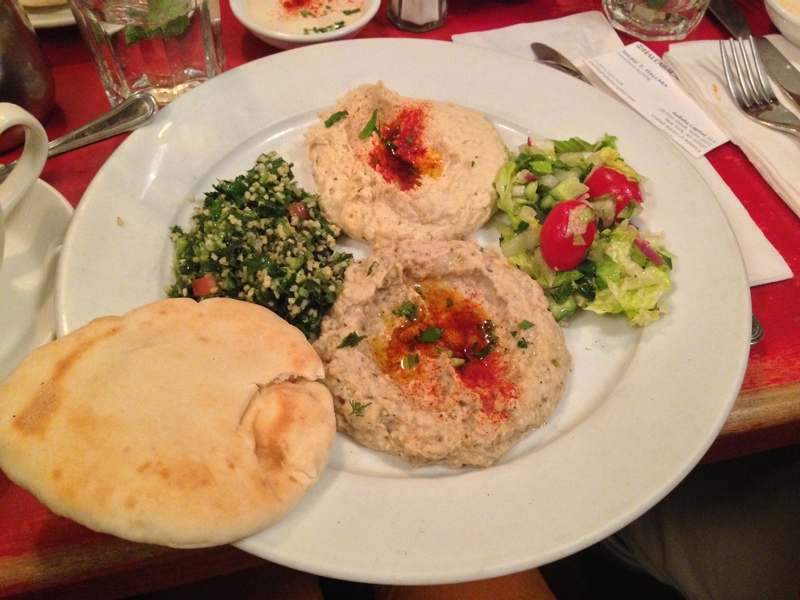 Next time you’re craving the late night munchies, go here instead of/after/before Mamoun’s. My favorite was the falafel sandwich with the special hot sauce they provide. Need a sugar rush? 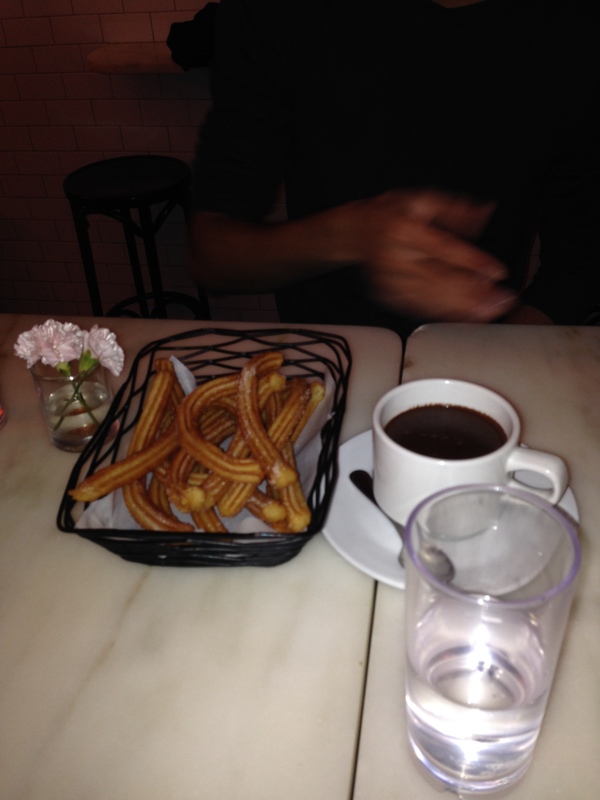 Check out La Churreria (“Churro Shop”) in Nolita, 284 Mulberry St. where you can indulge in Churros and Chocolate! They also have sandwiches, tapas, coffee, hot chocolate, etc. I came here this past weekend with some friends for a late afternoon snack – perfect spot for a cold wintery day. Moroccan and Mediterranean cuisines are always a hit with the vegetarians. 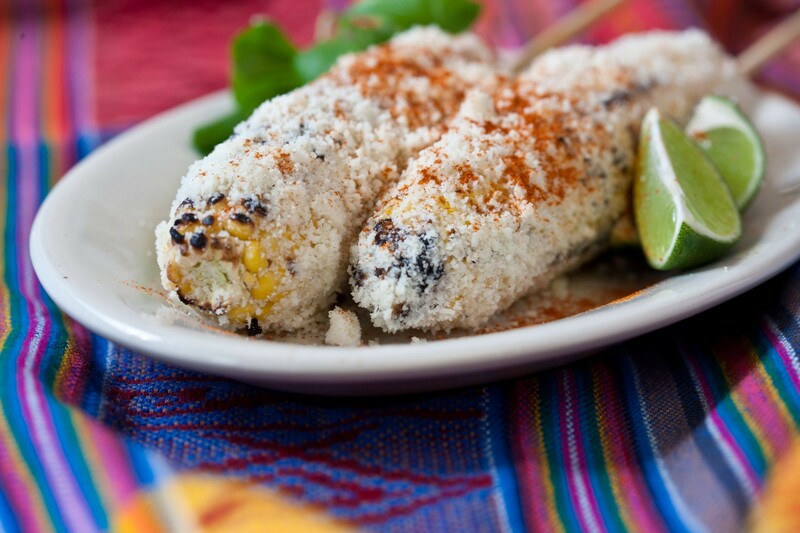 This fantastic restaurant is located at 101 St. Mark’s Place in East Village. It’s a great brunch spot for a just a few or large group of people. The mixed platter and hummus falafel platter were delicious. They give really soft pita bread which I cut in half and turned into a falafel sandwich. Don’t forget to try the breakfast potatoes – soo good. 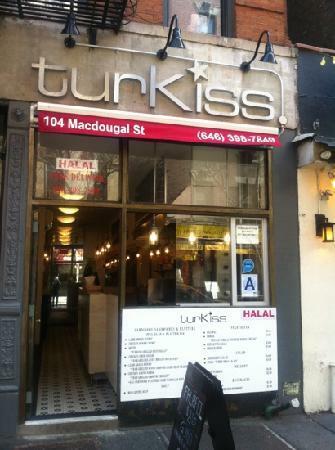 This is a family-style Italian restaurant located on 235 Mulberry St. between Prince St. and Spring St. I came here with a few friends for lunch and we sat in the back dining area where they can fit larger parties. The flatbread Arugula Pizza was excellent. The Ricotta Ravioli was very tasty as well. 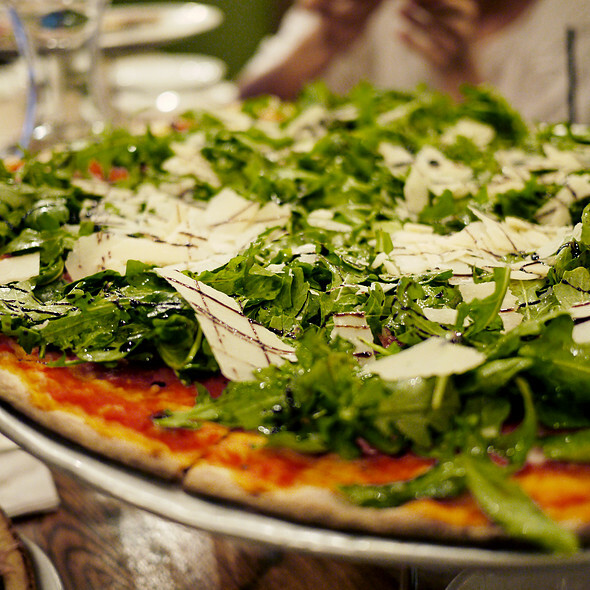 The best part about Rubirosa is that you leave feeling light and healthy – always a bonus!